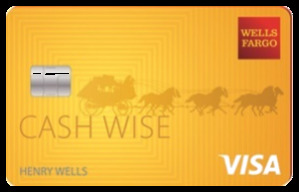 Offers for the Wells Fargo Propel American Express® Card and AARP® Credit Card from Chase are not available through this site. All information has been independently collected by AwardWallet and has not been reviewed or provided by the card issuer. Please see our card marketplace for available offers. Want to maximize the points earned on dining and restaurant purchases? We all love having someone else do the cooking. So much so that according to USDA statistics, over 30% of all spending on food in the U.S. is spent dining out, representing a considerable portion of overall credit card spend each year. If you’re not maximizing the points for every dining purchase, you’re leaving thousands of points and miles on the table every year. The best card for your circumstances will depend on your current travel goals. 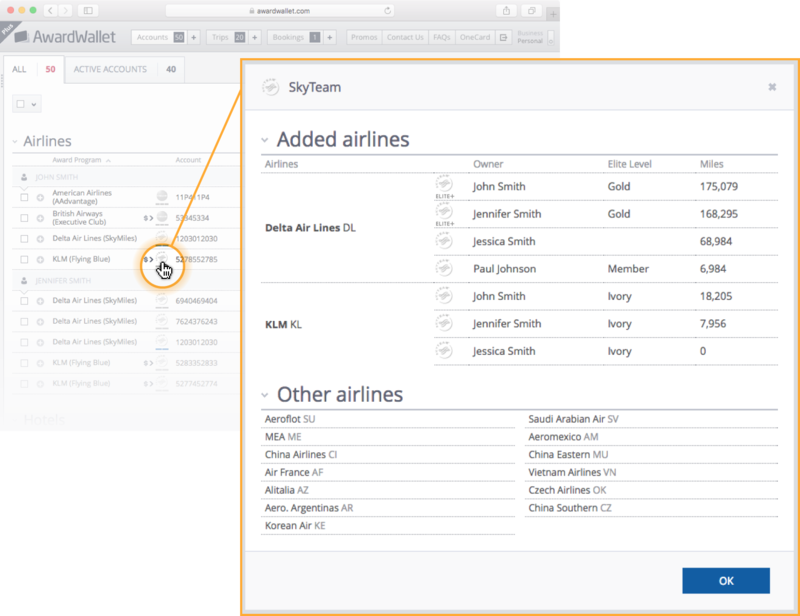 Are you chasing flexible rewards points that transfer to airline or hotel partners, or do you need fixed-value rewards or cash back to pay for other travel expenses? Whatever your goals, we’ve put together our list of top rewards cards for dining and restaurant purchases, to maximize the points or cash back earned from every transaction. Following Citi’s recent overhaul of the Prestige Card, it takes the top spot in our list of best rewards cards to swipe at restaurants, bars, and fast food joints, earning a staggering 5x ThankYou Points on dining worldwide. It now joins the Chase Sapphire Reserve® and American Express® Gold Card at the top of the restaurant and dining category. Up until September 2019, ThankYou Points earned on the Prestige Card are worth 1.25¢ per point when redeemed through the ThankYou Rewards travel portal, before the fixed-value drops down to 1¢ per point. That means you’ll get a minimum return of 6.25% back on dining before Citi’s negative changes take effect in September, then 5%, which still beats the next best card on the list, the Chase Sapphire Reserve®. Those 5x ThankYou Points per dollar could potentially be worth a lot more transferred to airline or hotel partners such as Singapore KrisFlyer, Etihad Guest, or Avianca LifeMiles. The Prestige Card recently reopened to new applications and is offering a signup bonus of 50,000 ThankYou Points after you spend $4,000 in the first 3 months. While Chase consistently sits at the top of the rankings in both the dining and travel categories due to the value of Ultimate Rewards, the entry of the Amex Gold and the Prestige Card has turned the dining category on its head. 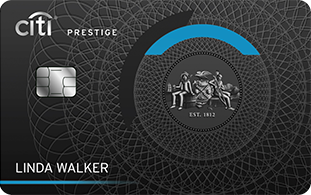 The Prestige Card now comfortably takes the top spot, but we still rate the Sapphire Reserve higher than the Amex Gold for dining purchases for a couple of reasons; we value Ultimate Rewards higher than Membership Rewards, and the Sapphire Reserve earns bonus points on dining overseas whereas the Amex Gold only covers purchases within the US. Outside of the Amex Gold, the dark horse entries to the dining category for 2018 were the Uber Visa Card and the Capital One Savor, both earning 4% cash back on dining — the Uber Visa Card squeaking ahead with no annual fee ever! You can comfortably swap the other Citi and Amex cards depending on which points are higher up your priority list, although we’d give the Blue Business Plus an edge here as the only card of the four listed that doesn’t charge an annual fee. The same can be said of the AARP Credit Card which made the list due to not charging an annual fee. If you’re hunting even higher returns on your dining spend, don’t forget to join the numerous dining programs on offer from rewards programs. Sign up to receive emails from Mileage Plan Dining, clock up 12 qualifying transactions in a calendar year, and you’ll earn 5 Mileage Plan miles for every dollar spent at over 11,000 participating restaurants. That’s a better return than ANY credit card on this list, and you can stack these miles on top of the credit card points you earn for the purchase, i.e. 3X Ultimate Rewards and 5X Mileage Plan miles for every dollar you spend at qualifying restaurants. 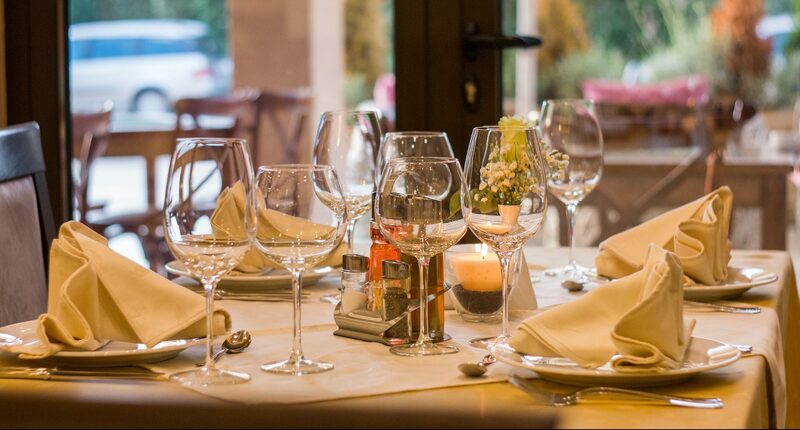 What Purchases are Included in the Dining & Restaurant Category? The merchant category code defines purchases included in the dining category, so the merchant must code the purchase correctly for you to receive bonus points. Are Any Purchases Excluded from the Dining & Restaurant Category? As a general rule, if you swipe your card at a restaurant, bar, or fast food store, it should code in the dining category. Chase, Citi, and Amex list a bunch of exclusions, some of which are hard to define without making a purchase and waiting to see how it codes on your statement. Barclaycard and Capital One, on the other hand, keep things simple; no exclusions provided the merchant codes the purchase correctly. Citi’s definitions also cross into the entertainment sector, but with the wording, it’s tricky to see where dining stops and entertainment starts. Barclaycard doesn’t list any specific exclusions. Provided the merchant codes as dining, you get the bonus points. Outside of merchant category codes, Capital One doesn’t list any exclusions to its definition of dining establishments. The Prestige Card provides the highest value return on dining spend, provided you leverage the travel benefits associated with the card to full effect. Otherwise, the annual fee wipes out any gains you make. 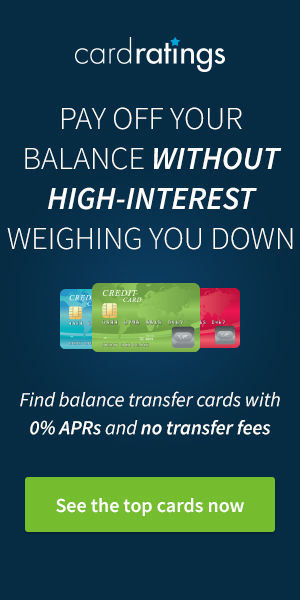 For points and miles fans who loath paying a yearly fee, the three cash back cards from Barclays, Chase, and Capital One all provide above-average returns, particularly the Uber Visa Card and the Capital One Savor at 4% cash back. Have a favorite rewards card for dining and restaurants we’ve missed? Let us know in the comments below. CSR is obviously the best. Just depends if you can make up the remainder of the value ($150 after travel credit) in dining and other benefits. Haha! We must go out to eat too much, because that’s never an issue for us! Thanks! I love using Rewards Network for dining and easily made VIP with 12 dines last year. Chase Sapphire Reserve seems to come out on top on a lot of your articles. Wonder if that’s advertiser bias or just the cold hard facts. I’m thinking the latter. If this card didn’t have a permanent slot in our wallets it wouldn’t be on the list. At 3x earning for travel + dining and all of the other card perks, it is difficult to NOT include this card in such a list! While it’s not 4.5% when redeemed for travel through Chase’s site, like the Chase Sapphire Rewards card, the Bank of America Premium Rewards card is worth mentioning. If you have $100,000 with Bank of America, including Merrill Lynch (move a $100,000 IRA balance to Merrill Edge, Bank Of America’s discount brokerage, and the 2% on dining and travel is increased by 75% to 3,5%, redeemable for cash (your $100,000 balance lets you maintain a free Bank Of America checking account with a free safe deposit box also). The $99 annual fee gives you a $100 annual airline incidentals cfedit, a TSA Precheck of Global Entry fee rebate, and 1.5%, increased to 2.625% rebate on all other purchases with the $100,000 balance. The Bank of America program is an excellent one. The $100k requirement is a roadblock for many which is why we don’t cover it more. That’s true. I figured the idea of moving a $100,000 IRA to Merrill Edge, their discount (cheap-no commission) brokerage may be easier for some people, although that, obviously, is only for people with a $100,000 IRA to move. I should have added that Merrill Edge has a promotion offering at least $200 depending on how much you move, You also get a lower percentage boost to the credit card cash back with lower balances. Pretty hard to beat this card. CSR moved to the front of my wallet almost as soon as I activated it. When dining out I use it w/o hesitation. This is a great analysis of how to obtain the highest value for your dining dollar! Thanks! For Costco members, I find the Citi Costco CC really valuable. Yes you have to wait for the yearly statement to get your reward certificate, which you can redeem at any Costco for cash, but with 4% back on Gas, 3% on dining, 3% on travel its hard to beat. Plus no annual fees as long as you’re a Costco member (any level). Amex simplycash can be set to 3% cashback on restaurants. Know I eat out but doubt I get anywhere near the 30% statistic level. I was surprised it was that high but I guess those of you who travel frequently may pull those statistics up some. Great benefit to capitalize on dining out with credit card usage. I’m still considering the switch to the Sapphire Reserve but the fee for authorized users is also a hurdle. It’s free for the Sapphire Preferred and I have two authored users. Any data points on whether they ever waive the authored user fee for the Reserve? That is a valid concern — it definitely gets expensive quickly. I’ve never heard of those fees being waived — Chase has to pay for the benefits provided on those cards, otherwise, they’d simply lose money. I do constantly see that the Chase Sapphire Reserved is at the top of many lists as a great card. That is why I have the preferred one, just cannot do the higher AF. But I did just get the freedom unlimited and now I think I’ll be able to show my husband why we got all the cards by almost being able to pay nothing for a trip to see my family this Nov. I don’t know if I ever would have thought about stacking the cards and then transferring it all to my sapphire or even would have looked at the sapphire because of the AF, if I hadn’t had explanations here of the benefit. Sometimes it can take a really long time to earn miles and then use them. Now it’s not as long since I’m able to earn UR faster than airline miles directly. That dream to take my hubby in first to syd just got a little better now that United will go iah to syd! Yeay! Now I just have to build up UR points and transfer. Interesting that Amex doesn’t classify purchases inside nightclubs as restaurants and that Barclay does. Chase Sapphire is always on the top. CSR is definitely top card for dinning. At certain airports the merchant shows up as the airport itself. Don’t forget double points on the Marriott card. Not the greatest unless you are trying to accumulate for a reward or towards your lifetime status. With either of those goals, the double points can be quite helpful. Uber card and Capital one savor both look quite nice and useful. Will have to check them out. The Sapphire Reserve is hard to beat! Go for it!